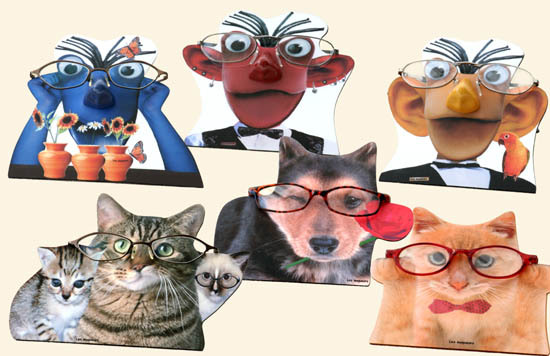 Here are funny and novel eyeglass holders. And with or without glasses, they are decorative. Give them your own personality by putting your glasses on them...! Our advise : an eyeglass holder is the perfect gift for the person who already has everything!